Zelda has always had a main theme tune, which was normally used as the Overworld music in all of the games, although it differs slightly from game to game. This particular theme was also used in the cartoon. Other tunes varied from game to game, Zelda II and III have the best ones in my opinion, but you can decide for yourself. I have several sound samples from each of the games and they're in the good old MIDI format, and fairly small. To listen to them simply click on the url of your choice, or to same them right click and 'save target as' to your hard drive. There is also a downloadable zip file containing all the midis and many more. Geoff Hellstrand was kind enough to give me the idea of putting all these tunes into one large zipfile. He even compiled the file for me (I dunno why, but it was very kind! ), so you can download the entire collection of music plus many more by clicking on the link (except the fan stuff) below. Plenty of talented people have created their own versions and remixes of the famous Zelda tunes. Many sites offer these fan-creations for download so be sure to have a look around to see what's on offer. I've had a few submitted to the site, which you can download at the locations below. Some are in midi format which will play on all computers and some are in MP3 so you will need a compatible player installed such as Winamp, Windows Media Player etc in order to listen to them. These midi remixes were created by Belgarath the Sorceror. These great renditions and remixes were created by Green Hat. 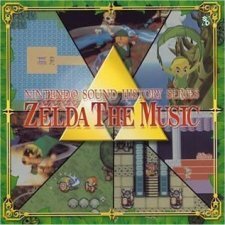 This musical timeline of Zelda themes covers the original LoZ through to OoT composed using wind instruments (in midi format) is composed by Nimbus Cloud. It was composed for a concert band who will be playing it very soon! LindsayAnne has created some beautiful original music - the first piece is a take on the original Zelda theme and the next two pieces are inspired by Ingie's fanfiction 'Fortitude'. Composed by LindsayAnne Pepper. My favourite Zelda tune of all time, the Final Palace theme from Zelda II composed by Paul Nolan. from Link's Awakening and Link to the Past. Composed by Hindu Pez. Don't forget to visit his website at http://www.myspace.com/hindupez. A serene, gorgeous rendition of the original theme composed by Jon B. These lovely midis are simple piano tunes played MegaZeldaMan on his keyboard. 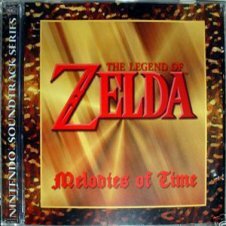 There are main Zelda-themed CDs available containing music from the games. Zelda V, Majora's Mask and the Windwaker all have official albums and there are also lots of remix and orchestrated versions too. Most of the albums are Japanese and available through import only although some have been free gifts, for example given away through publications such as Nintendo Magazine System. Some of the CDs can be purchased from Nintendo and most can also be got hold of on import from Amazon, various anime websites and of course, EBay. 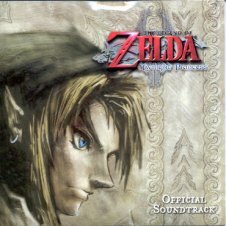 Thanks to Emuparadise Org they have several mp3 soundtracks for Zelda available for free download! This information was kindly provided by Shark (aka RuneManExp). North Castle's affilate site Zelda Universe also has several soundtracks also available for free download. 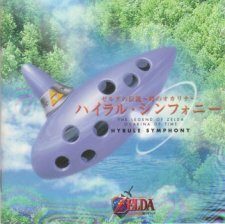 Synopsis: This Japanese CD was a two-disk release, disc 1 contained synth-symphony versions of Zelda music and disc two contained OSV tracks, with tunes taken from Zelda I and Zelda III. At the end of the first CD there is story track, with well-acted vocals, music and sound effects. Synopsis: This Japanese CD contains 35 beautifully composed music tracks from Ocarina of Time. Synopsis: This CD basically contains remixes of 11 OoT tracks with added music and occasionally vocals to make them into proper songs (the vocals are in Japanese). 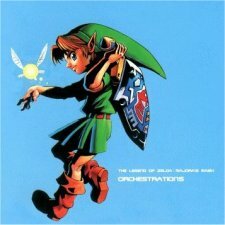 Synopsis: This CD contains 13 epic and sweeping tracks from OoT performed with a classical orchestrated feel by a string ensemble and other instruments such as the piano, harp and ocarina. Synopsis: Another Japanese import album, this one is particularly good value in that it contains 2 CDs with an incredible 112 tracks all together, taken directly from Mask of Majora. 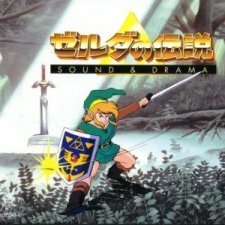 Synopsis: This Zelda contains 11 tracks from the game (although there are more than 11 songs as there are more than one in some of the tracks). They are all faithful replications although it is not a true orchestra song - the tracks are played on what sounds like high-quality synthesizers. 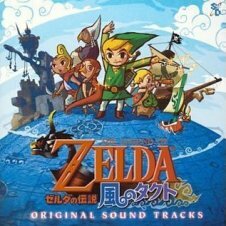 Synopsis: This is a brilliant Japanese album that contains over 100 tracks over 2 CDs all taken from The Wind Waker. 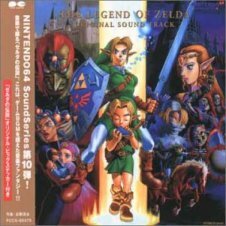 Synopsis: This Japanese CD contains tracks taken straight from the games themselves including Legend of Zelda I, II, and III, Ocarina of Time, Majora's Mask and Wind Waker. There are 70 tracks altogether. Synopsis: This special album was given away as a free gift with issue 130 (July 2003) of European publication, Nintendo Magazine System. It contains 12 tracks taken from Zelda 1-3, OoT, MoM and Windwaker. It was never made available commercially. 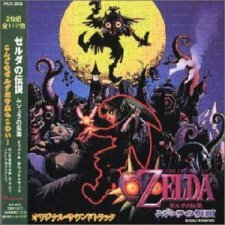 Synopsis: This CD features six tunes from Twilight Princess, including the fantastic 'The Legend of Zelda Orchestra Piece 2', which I don't think was used in the game itself (I've yet to confirm that for myself), but was used for one of the trailers. I also know that a TP soundtrack CD was given away with subscriptions of Nintendo Power magazine, but I'm not sure if it's the same as this one (I'm willing to bet it is, though).